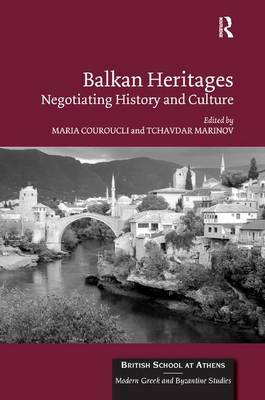 This volume deals with the relation between heritage, history and politics in the Balkans. Contributions examine diverse ways in which material and immaterial heritage has been articulated, negotiated and manipulated since the nineteenth century. The major question addressed here is how modern Balkan nations have voiced claims about their past by establishing 'proof' of a long historical presence on their territories in order to legitimise national political narratives. Focusing on claims constructed in relation to tangible evidence of past presence, especially architecture and townscape, the contributors reveal the rich relations between material and immaterial conceptions of heritage. This comparative take on Balkan public uses of the past also reveals many common trends in social and political practices, ideas and fixations embedded in public and collective memories. Balkan Heritages revisits some general truths about the Balkans as a region and a category, in scholarship and in politics. Contributions to the volume adopt a transnational and trans-disciplinary perspective of Balkan identities and heritage(s), viewed here as symbolic resources deployed by diverse local actors with special emphasis on scholars and political leaders.